Since 1984 Mike’s Plumbing and Heating has proudly served the Harford County, Baltimore County, and Baltimore City areas of Maryland. 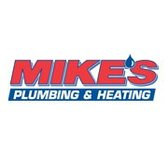 A complete service provider of plumbing and gas heat services, Mike’s has grown from one service crew and truck to 6 full crews. Mike’s Plumbing and Heating cares about the customers they serve and makes sure the job is done right the first time. When you call or email Mike’s a licensed, insured and certified technician arrives at your home with a fully stocked truck, ready to fix your problem. First they assess the issue and give you the options available to remedy the situation. Next you decide which solution you would like to implement. Mike’s journeyman plumbers and gasfitters are continually trained to make sure they are always able to solve your plumbing or gas heat issue. They also receive rigorous training in customer service and communication skills so that the problem and solutions are always addressed in terms you can understand. That way you feel comfortable choosing your course of action. Always on the lookout to eliminate problems before they arise, Mike’s offers a Maintenance Service Plan to all of their customers to detect potential costly issues before they begin. A proud member of the Baltimore community, owner Mike Ciarapica welcomes you to check out his company reviews online, where you will find excellent reviews and testimonials to the superb level of service and quality workmanship his company provides. Voted Baltimore’s Best Plumber by Baltimore Magazine, Mike’s Plumbing and Heating’s motto is “ Relax, We’ll take Care Of It”, so give them a call and let them take care of “it” for you!